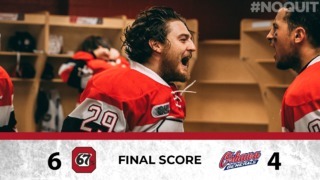 After suffering a heart breaking 2-1 loss Thursday night to Kingston on a goal in the final minute of play, the 67’s look to rebound against the Saginaw Spirit Saturday afternoon at The Arena at TD Place – the second time in a week that they’ve faced the Spirit handing them a 6-3 loss last weekend in Michigan. Despite a record of 0-4-0-1 through their opening five games and just 8 goals scored, Brown is expecting to face a hungry and tough Saginaw team on Saturday afternoon. 20-year-old forward Patrick White had a solid game last weekend against Saginaw, picking up two assists and earning the second star of the game. White believes his team needs to keep things simple against Saginaw to reproduce the same kind of performance. 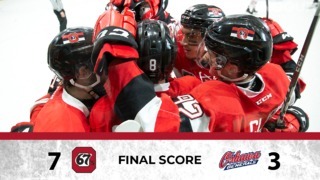 Despite only scoring one goal in their last game, the 67’s still have the second best offence in the OHL with 25 goals scored after six games. Austen Keating is third on the OHL scoring list, with 11 points, while Artur Tyanulin comes in fourth place with 10 points. 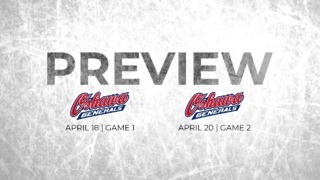 Following Saturday’s game, Ottawa will travel to Kingston to face the Frontenacs Sunday afternoon looking to avenge Thursday night’s late 2-1 loss.